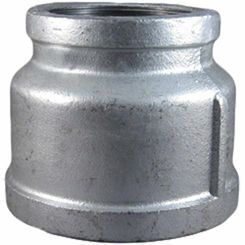 GALBR112114 Galvanized Bell Reducer, 1-1/2" x 1-1/4"
GALBR32 Galvanized Bell Reducer, 3" x 2"
GALB112 Galvanized Bushing, 1" x 1/2"
GALB11234 Galvanized Bushing, 1-1/2" x 3/4"
GALB32 Galvanized Bushing, 3" x 2"
GALB3412 Galvanized Bushing, 3/4" x 1/2"
GALBR11212 Galvanized Bell Reducer, 1-1/2" x 1/2"
GALBR134 Galvanized Bell Reducer, 1" x 3/4"
GALBR2114 Galvanized Bell Reducer, 2" x 1-1/4"
GALBR3212 Galvanized Bell Reducer, 3" x 2-1/2"
When you need a rust-resistant installation, try galvanized fittings. In the early 1900s lead and cast-iron pipes were replaced by galvanized pipe for use with cold water plumbing applications. 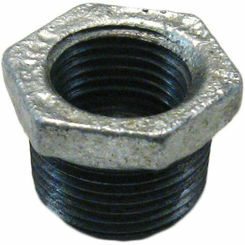 With our huge selection of fittings, you will be certain to find something to match your needs. Galvanized steel is popular for its strength to withstand erosion and corrosion. 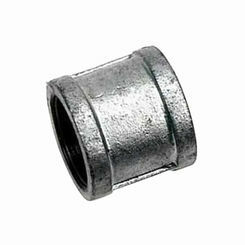 Using galvanized pipe fittings will create a plumbing system capable of withstanding about 50-70 years of weather elements. 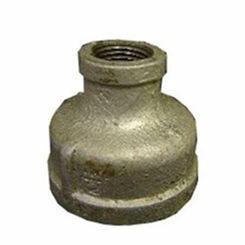 Today these fittings are most commonly used for outdoor applications as new and improved plumbing systems have been implemented within most homes. There are a variety of galvanized pipe fittings, including bushings, elbows, couplings, caps, tees, unions, and core plugs. 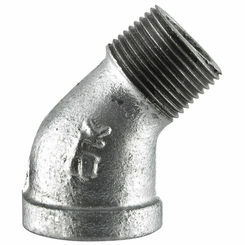 When installed properly, fittings and pipes will create an efficient plumbing system. Here you will find a description of use for each type of fitting so you can best find what you are looking for. 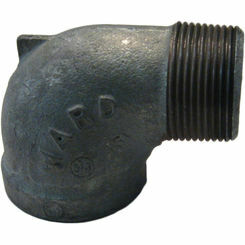 Elbows: Galvanized elbows come in two different sizes, 45 and 90 degrees. They are used to change the direction of the flow of water. 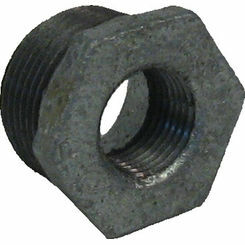 The connections will attach directly to the pipe. 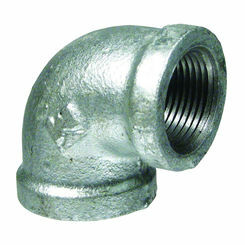 With galvanized pipe, there are also 45 and 90-degree street elbows. 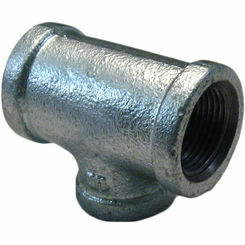 Unlike the regular elbow, a street elbow connects to a galvanized fitting rather than the pipe itself and is also used to change the direction of the pipe. Couplings: Galvanized couplings are used to connect two pieces of pipe together. 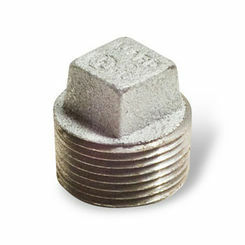 Couplings create a tight fitting to prevent any leaks. 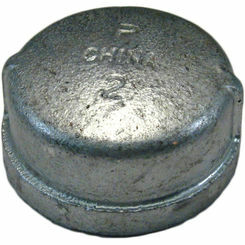 Caps: Used to create an airtight secure cover for the end of a galvanized pipe. 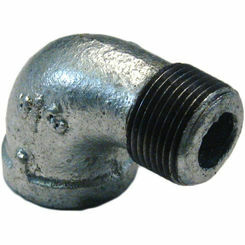 Cored Plugs: These types of fittings have threaded ends to close the end of the pipe. 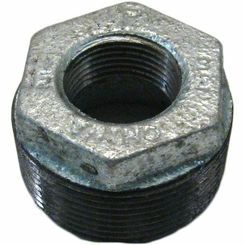 It fits into female threading and has a square head that allows it to be easily installed with a wrench. 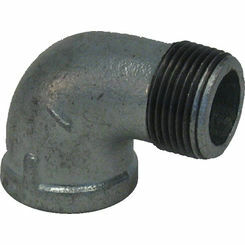 Tee Fittings: Created to combined or split the fluid flow, galvanized pipe fittings are the perfect solution to add to the piping systems to connect pipes of different diameters or when then pipe needs to run in a different direction. 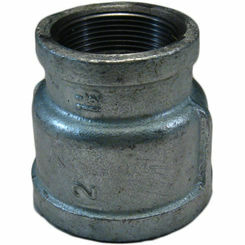 Unions: Often confused with couplings, unions connect two pieces of pipe. The difference between the two is that a union provides a quicker and more convenient way to disconnect the pipe in case of the need for maintenance. 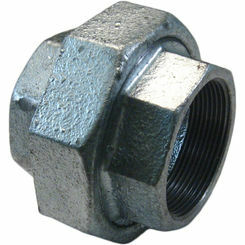 Aside from its standard piping use, galvanized fittings have several other applications. 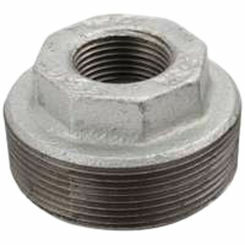 They can also be used for connecting fencing posts and rails, scaffolding, and protective railings. 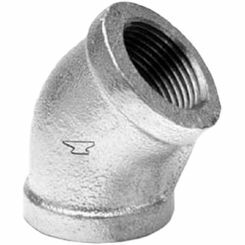 When it comes to repairing your existing galvanized line or creating a new outdoor cold water system, Plumbersstock.com is here to provide you with all your galvanized pipe fitting needs. We have a wide variety of selection to choose from. For more information, please contact our professionals.